Whether you want to kickstart your Twitter timeline or do some social media soul-searching, we've got the tools for you. We've compiled more than a dozen apps and services geared toward making life better for Twitter users and addressing some of the most basic but pressing questions, like "When's the best time to tweet?" "How do I find people to follow?" or "Is anyone out there reading my tweets?" Some of these may be obvious to Twitter veterans -- who should chime in in the comments (below) with their own favorite Twitter tools -- but Twitter newbies and novices should find some helpful tricks in the mix. Ever feel like your tweets dissipate into the ether, never to be seen or heard from again? There are a slew of tools available to help you track who's reading your tweets (and if anyone actually is), as well as which of your tweets gain traction in the Twittersphere. True Twitter buffs know <a href="https://bitly.com/" target="_hplink">Bit.ly</a> isn't to be missed. The URL-shortening service will not only slim unwieldy links, but it also offers up stats (see picture above) on how many times a link you tweeted was clicked, during what time period it was clicked and much, much more. To see the stats, just add a "+" to the end of a Bit.ly shortened link in your address bar, hit enter and watch the magic happen. <a href="http://retweet.co.uk/" target="_hplink">Retweet</a> shows you how many times a tweet you sent has been retweeted (something you can also find out on Twitter.com's "@mention" tab) and how many people a tweet reached when it was retweeted. <a href="http://www.schmap.it/know-your-followers" target="_hplink">Schmap</a> brings you up close and personal with the demographic breakdown of your Twitter followers: among other information, the freemium service promises to chart the gender, profession, location, relationship status and interests of the people following you on Twitter. 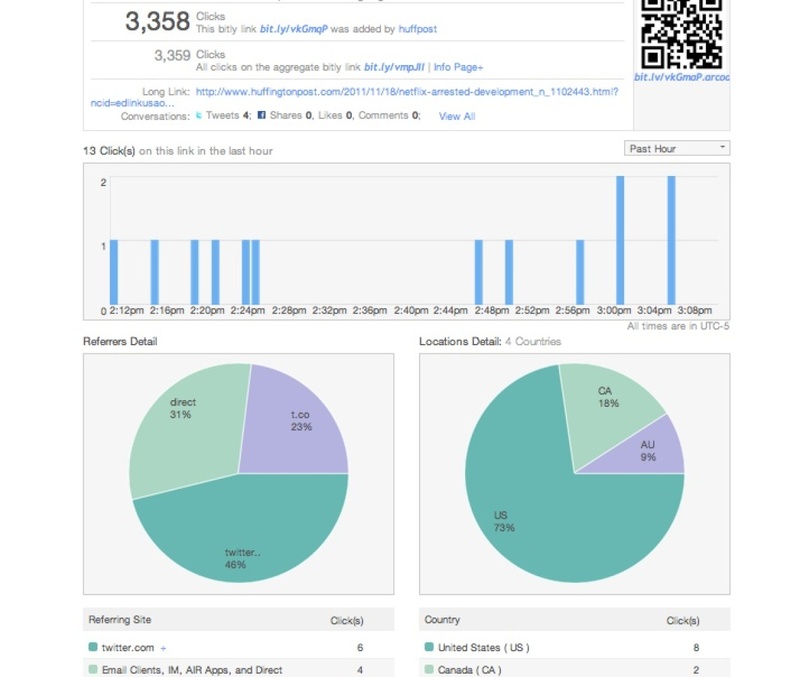 Last but not least, <a href="http://tweetstats.com/" target="_hplink">TweetStats</a> offers reflective Twitterers a glimpse at how they've been using the service. Enter your Twitter handle to see your Twitter stats, such as your number of tweets per hour and per month.